The latest Facebook feature intended to garner income for the site allows users to share and promote their friends’ posts for seven dollars each. All users have to do is select “promote and share” from the drop down menu located in the corner of their friends’ status updates. However, the user whose content is being shared cannot opt out of the service, and his or her consent is not required for a friend to pay and promote their post. Of course, this feature is intended for users to highlight good deeds, special news or accomplishments that their friends share on Facebook, but privacy watchdog groups have already expressed concerns over the involuntary nature of the post promotion. “This feature respects the privacy of the original poster – i.e. it will promote to everyone who originally saw it. You can only promote posts to the people that your friend originally shared with. 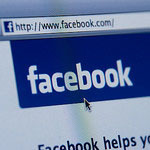 If you have mutual friends, they’ll see that you shared it and promoted it,” Facebook said of the feature. Facebook was quick to point out that the content won’t be shared with people who shouldn’t be seeing it, but the privacy concerns that are being raised about the new feature have much more to do with Facebook taking away control of user content for the explicit purpose of making money. As strange as it seems for Facebook to charge users seven dollars to essentially retweet a post (and make no mistake, that’s what this is), it shouldn’t come as a surprise; since its IPO, Facebook has been actively searching for ways to monetize its global user base.